This book, originally published in 1969, will hold interest for the urban geographer. It outlines the techniques and methodology which at the time were increasingly being used by geographers working in urban studies. 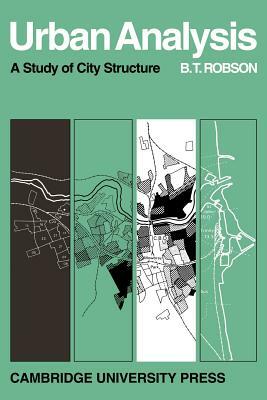 In doing this Dr Robson shows how disciplines which were once separate were becoming more closely interrelated when dealing with urban studies. For example, the ecologist's interest in spatial association and areal patterns is of obvious value to the urban geographer and, in discussing this, Dr Robson explores both the relevance of older ecological models and tests the validity of what were newer approaches. The particular interest of this book lies in its analysis of the human ecology of Sunderland which at the time the book was written had a high proportion of people employed in traditional heavy manufacturing and ship-building industries. The results of this analysis are used as a basis for a study of working-class attitudes towards education in the town.